These systems are designed for storage and transportation of wood chips to the firing equipment of BIO-CK P Unit, EKO-CKS Multi, EKO-CKS Multi Plus. They are manufactured so that they can be placed both indoors and outdoors. 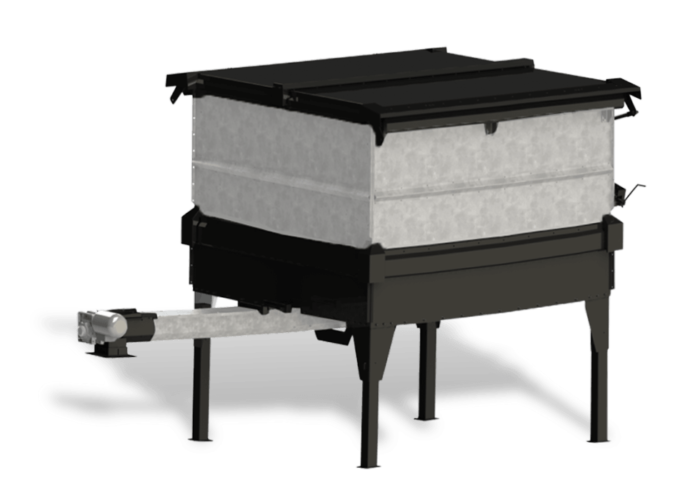 They are equipped with a screw transporter, an electric motor with gearbox and a wood chips mixer. Tanks are filled from the upper side after opening the lid and wood chips may contain up to 35% moisture. The system is operated by the digital control of the boiler in its standard configuration. Storage tanks are produced in following dimensions: 2,8m³, 5,5m³, 9m³, 18m³. Designed so that it can be placed in a covered area or open outdoors. Equipped with a sling conveyor, an electric motor with a gearbox and a mixer of wood chopper. Digital control manages operation of the tank in the standard configuration. The containers are made in the following dimensions: 2.8m³, 5.5m³, 9m³, 18m³. 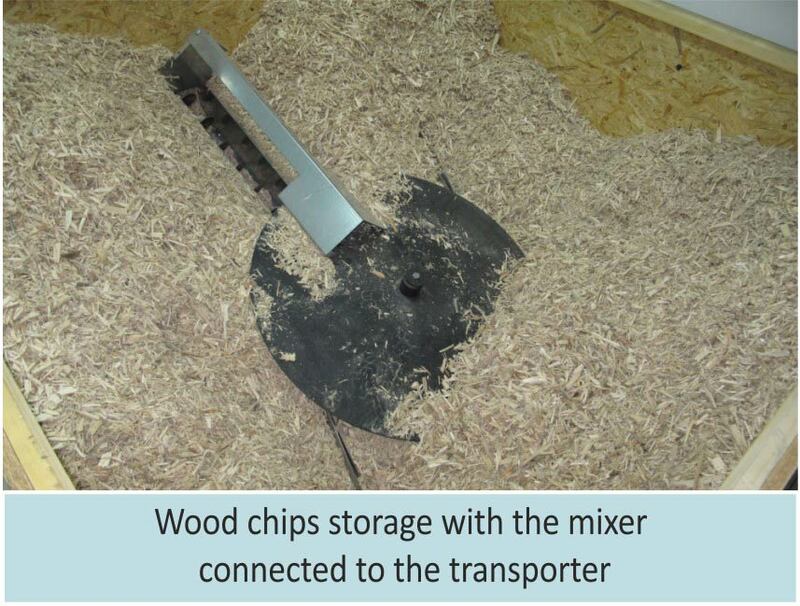 These systems are designed for wood chip transfer (max. moisture content up to 35 %) from a storage room to the firing equipment BIO-CK P Unit, EKO-CKS Multi, EKO-CKS Multi Plus. They are equipped with a rotating plate with springs for wood chip mixing (Ø 1,2 – 5m) connected to a screw transporter (2,5-8m) which is driven by an electric motor with gearbox. The system is operated by the digital control of the boiler in its standard configuration.